For the longest time I couldn't connect to my Mac via SSH. This seemed to start happening after I upgraded to Mavericks. 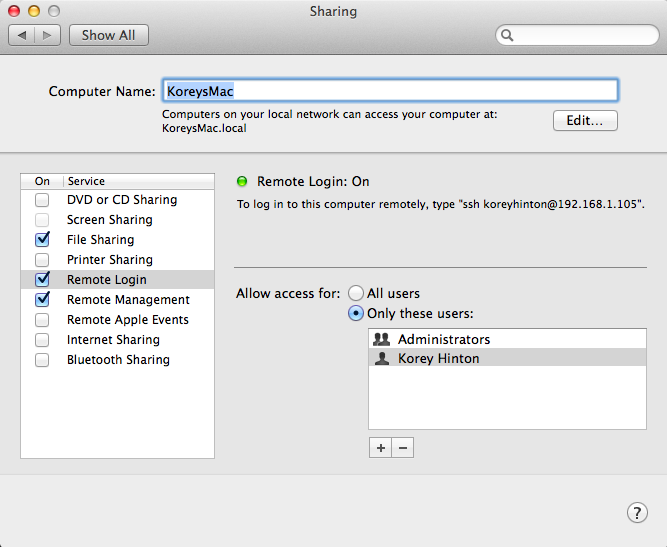 Even though the Sharing settings found in System Preferences says "To login to this computer remotely, type ssh koreyhinton@192.168.1.105". It would never work even though I made sure my username was added under Allow Access For user accounts and I had made sure Remote Login was checked to be enabled. The green circle shown by Remote Login:On gave me a false sense that everything was set-up to go. But there was actually one more change that needed to happen before it could work. 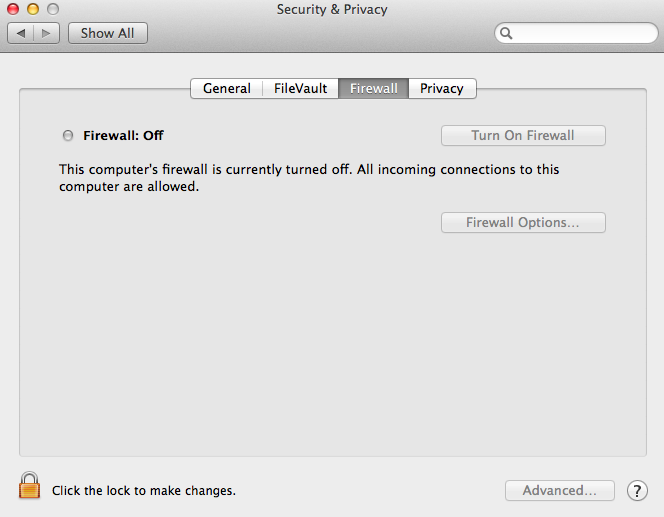 The last thing that needed to be changed was the Firewall Settings in System Preferences > Security & Privacy > Firewall. I had turned on the firewall not knowing that it would block ssh connections. Once I turned off the firewall everything worked fine. I could now do ssh koreyhinton@192.168.1.105 from my Linux to my Macbook.